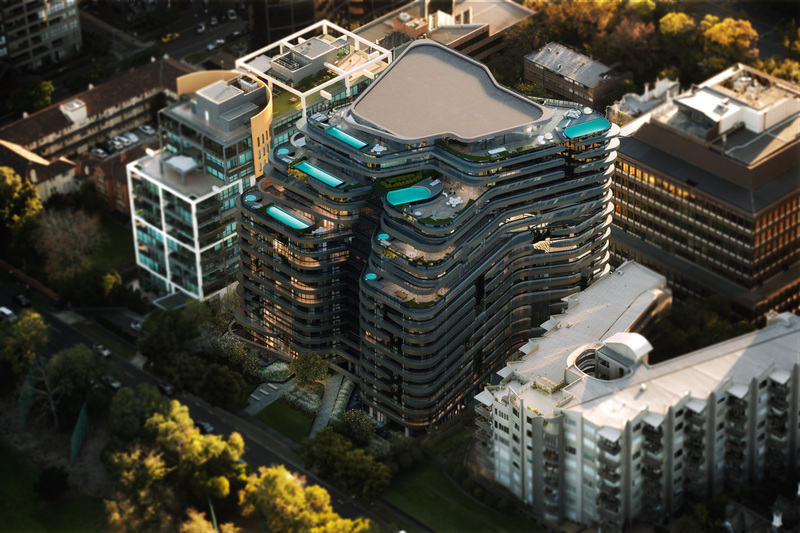 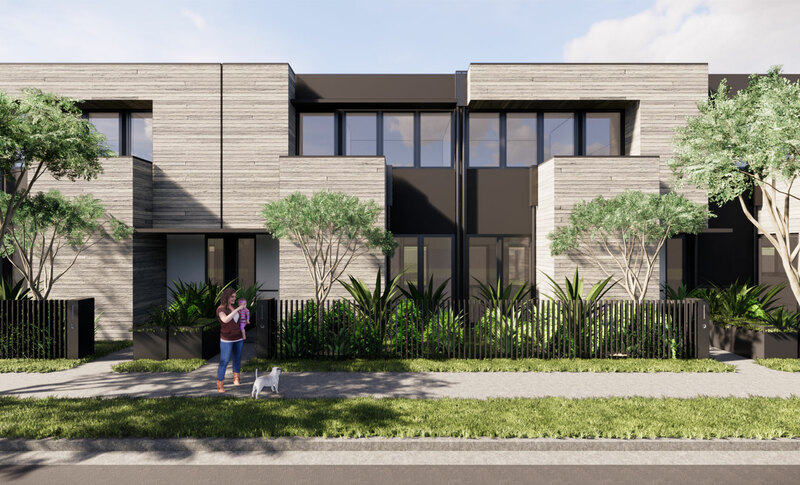 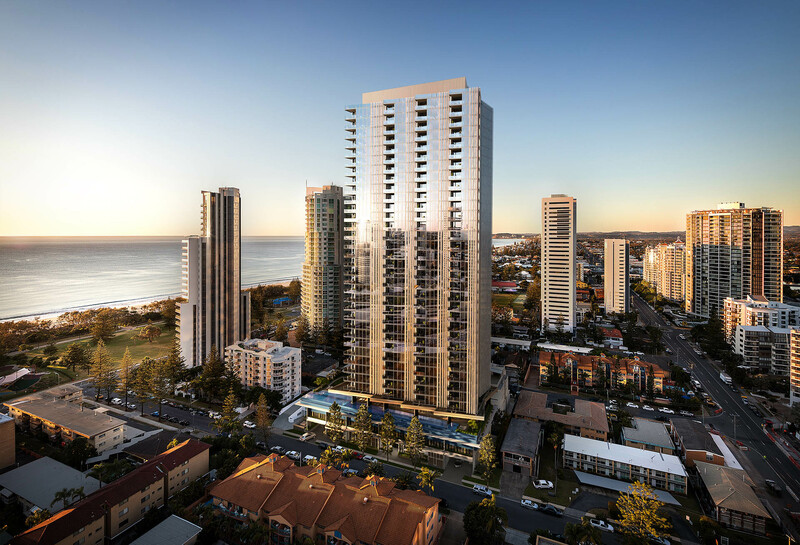 Rothelowman has drawn inspiration from Mount Coot-tha and the Taylor ranges for this expressive residential development. 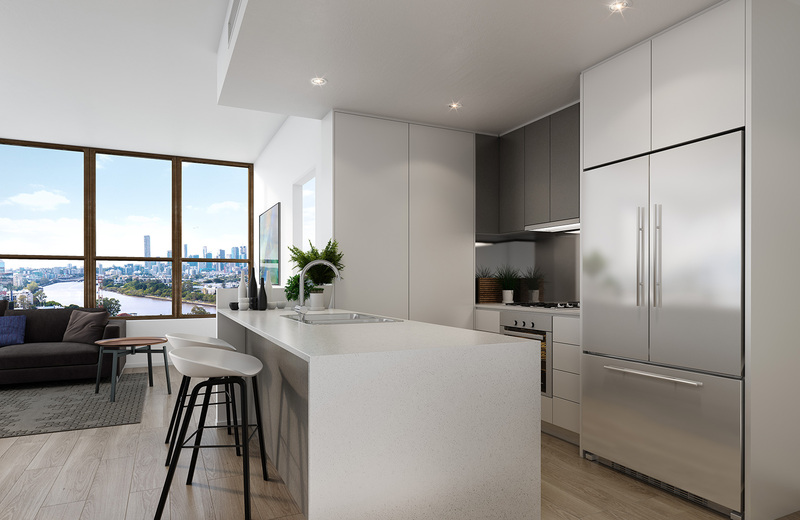 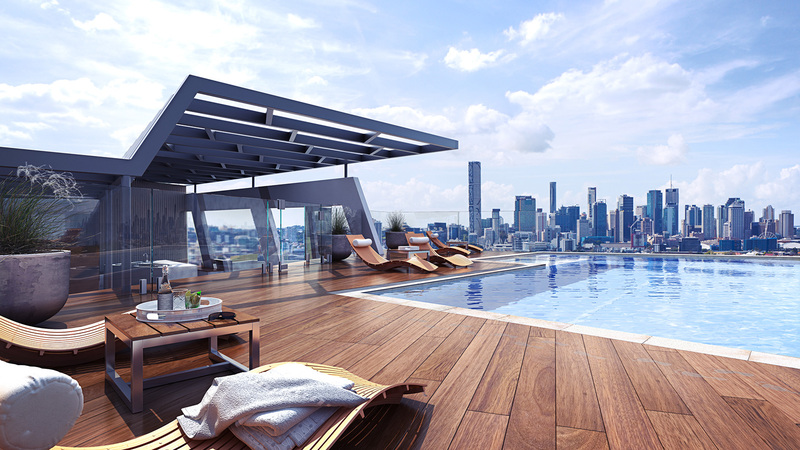 Located within the emerging mixed-use development precinct of Toowong Centre, 66 High Street provides a high-quality living environment that sets a new benchmark for the area. 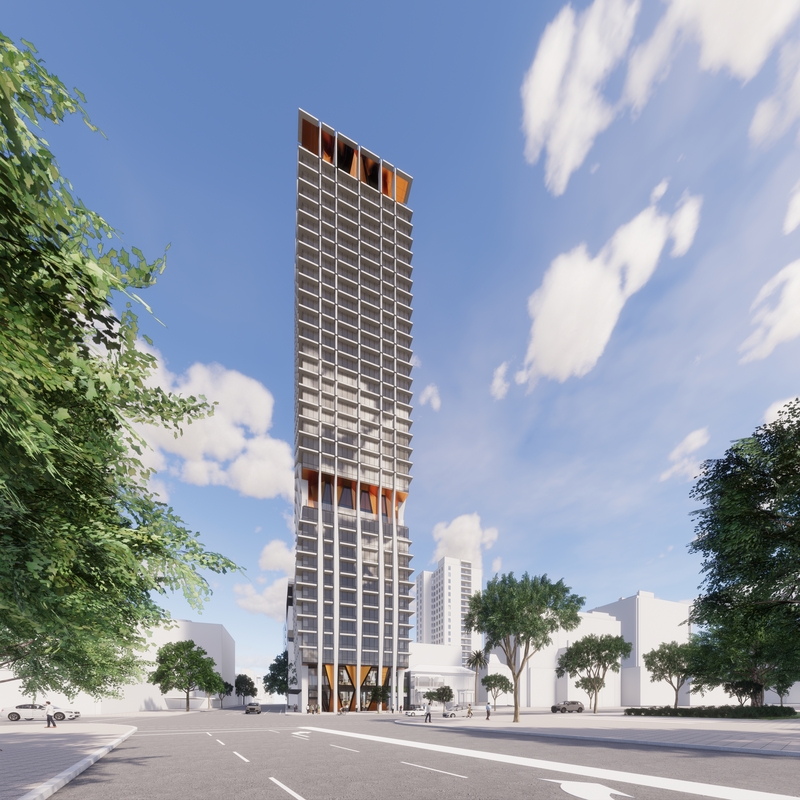 The overall building mass has been divided into two tower forms through the introduction of a recess through the centre. 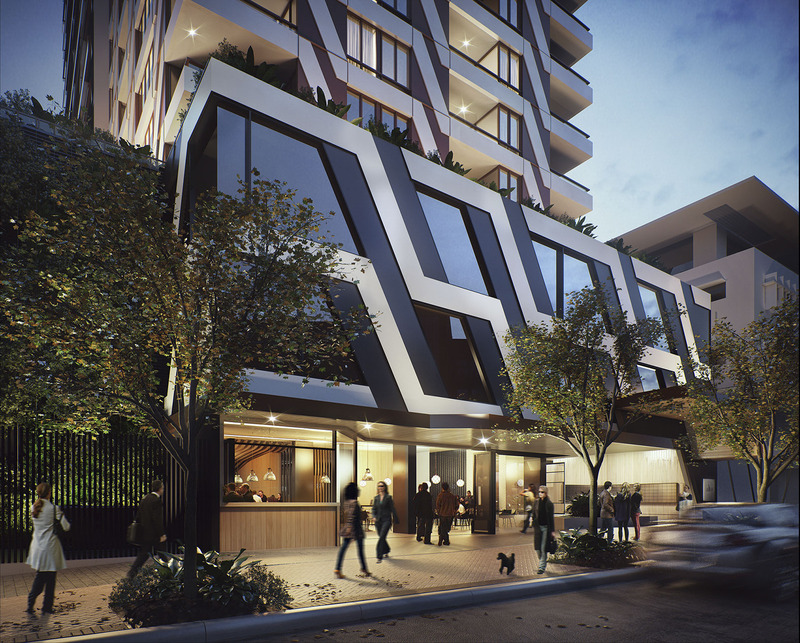 Two contrasting, but complimentary architectural expressions have been applied to further enhance the visual separation. 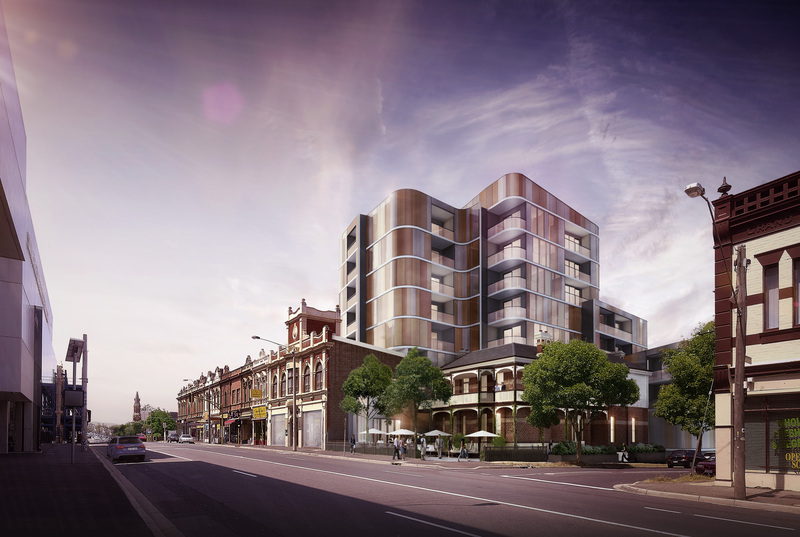 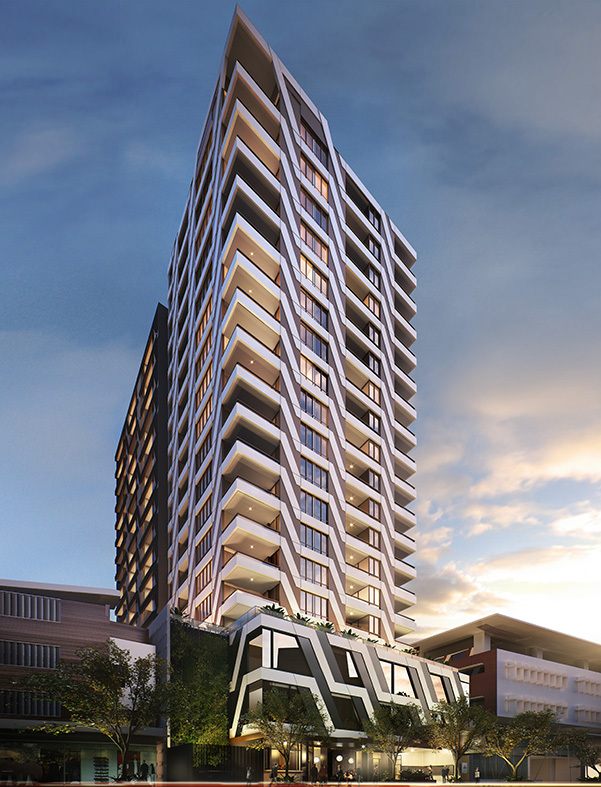 The angular facade treatment on the High Street tower is derived from an abstracted study of the bronze sunset glow over Mount Coot-tha and the Taylor Ranges. 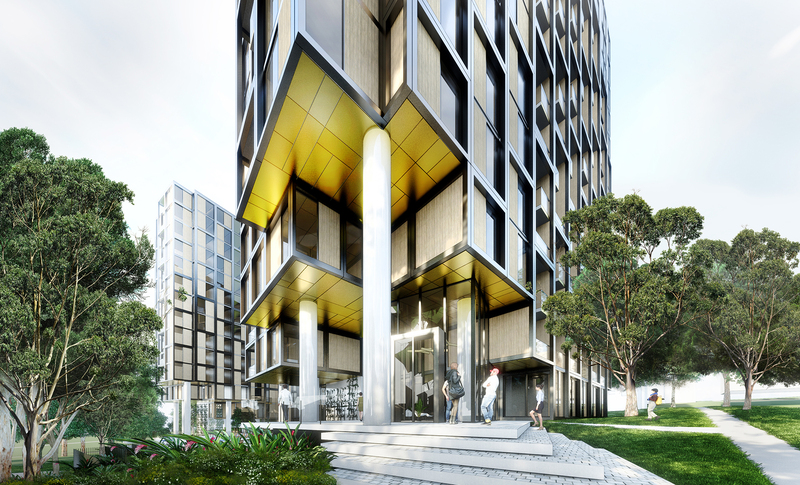 The silhouette of the mountain range has been refined to become an angular geometry that wraps the building form to create a continuous three-dimensional expression. 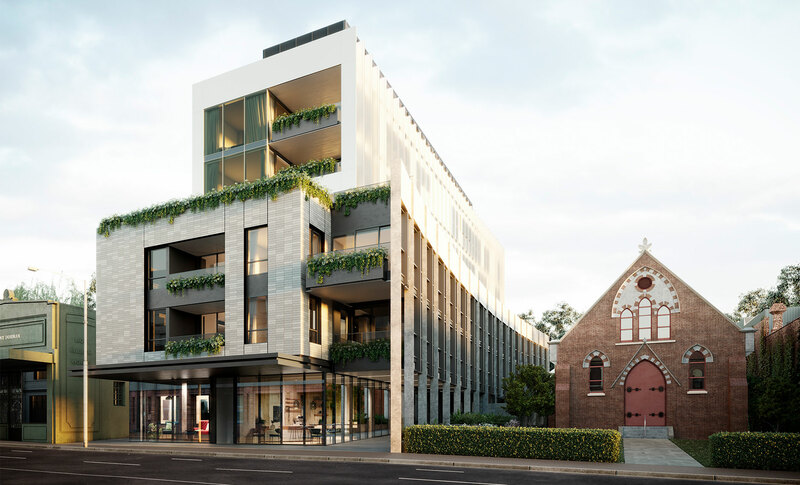 A simple and elegant 2-storey treatment is applied to the second tower to provide the backdrop to the architecturally expressive tower that addresses the primary High Street frontage.